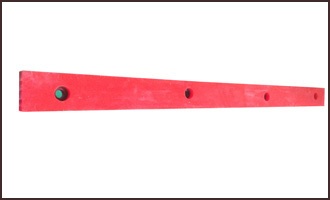 The centre hold down bars clamp self-supporting, tensioned or pre-tensioned screen panels in position on screens with cambered or flat screen decks. It is made of a hardwearing polyurethane material with a vulcanised metal reinforcement for secure fixture. 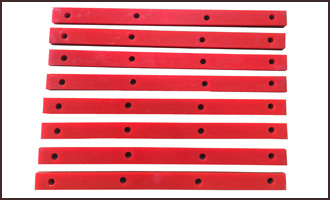 The centre hold down can be supplied with holes located according to the customer's requirements, simplifying installation. Installation: Regular bolts or studs.